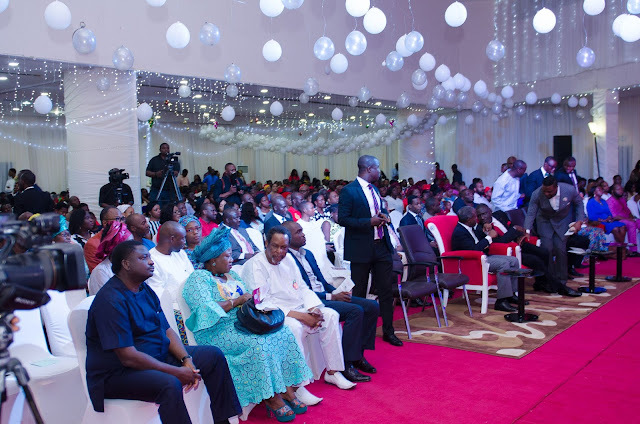 As the Christendom prepares for the commemoration of the birth of Jesus Christ this December, The Life Centre - a parish of the Redeemed Christian Church of God is also set to declare the Glory of God at its second (2nd) annual Christmas Carol event. 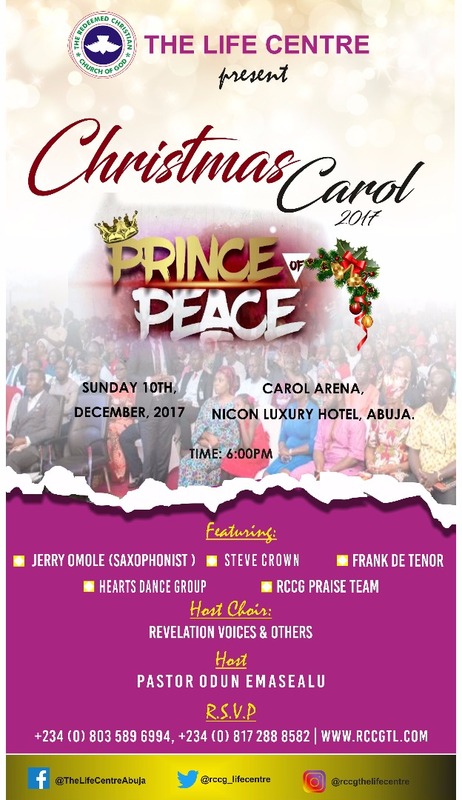 With the theme of this year being “The Prince of Peace”, All who are mindful of this season and its significance are invited to The Life Centre (TLC) parish for the Christmas carol. The 2017 edition also referred to as “Mega” Carol service is planned to be an outdoor occasion with an exceptional, breathtaking and impressive display of dazzling ho-ho Christmas lights and decorations alongside a custom built, Christmas themed stage. The Carol night will be distinct as attendees are in for an unusual and indeed most rewarding time in God’s presence. The night will have The Life Centre host choir -“The Revelation Voices” minister and will also feature renowned gospel music artistes in the likes of Steve Crown, Jerry Omole - the saxophonist, Frank De Tenor, the RCCG Praise team, HEARTS Dance Group and many more. Taking the celebration of Jesus Christ a notch higher, there will be the first of its kind, Karaoke sing along Carol worship. It definitely would be a sight to behold and an experience never to be missed. Don’t miss this opportunity to get a real taste of Christmas in an atmosphere of heaven on earth. This event is FREE for all to attend!